Crescent Heights is an active adult community located in Sandy, Utah, just outside of Salt Lake City. Comprised of 68 condominium units, homes in this community are available on a resale-only basis and come in a variety of different floor plan options. Residents of Crescent Heights can enjoy spacious yet affordable living along with the amenities and lifestyle that keep this adult community active. 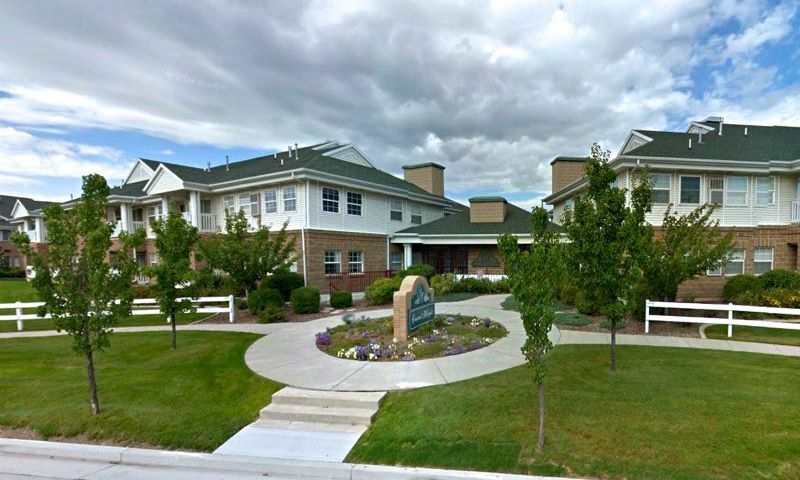 With mountain views and a temperate climate, life at Crescent Heights is a 55+ paradise right in Salt Lake County. Crescent Heights offers a variety of amenities for homeowners to enjoy. The hub of social life at Crescent Heights is the clubhouse, offering neighbors a place to gather for clubs and activities, or just to catch up with friends. The multi-purpose room is a great place for a game of cards or an interest group meeting. Outdoors, residents have plenty of options to stay active. Courtyards between condominium buildings give homeowners a place to gather while enjoying the natural views. They can take a stroll on the walking and biking trails, or just relax with a book in the picturesque gazebo. Green thumbs will love the Victory Gardens, available for residents to grow their own flowers and vegetables. Construction of Crescent Heights began in 1999 and was completed in 2004, culminating in this beautiful 68-unit community. The site of this community has been approved for future phases, and there will be 128 in total, but for now the homes in Crescent Heights are available on a resale-only basis. There are three floor plans available in Crescent Heights, ranging in size from 1,074 to 1,203 square feet in size. All models feature two bedrooms and two bathrooms, as well as one parking garage space. These units feature desirable amenities like walk-in closets, open floor plans, and some even include balconies. All buildings include elevators and low maintenance exteriors. Homeowners at Crescent Heights can experience the height of an active adult lifestyle thanks to a homeowners' association (HOA) fee. This HOA fee covers common area and exterior home maintenance, snow and ice removal, and lawn care, giving residents more time to enjoy everything the community has to offer. Neighbors at Crescent Heights can gather in groups for any number of available activities, or start a club or interest group of their own. With Salt Lake City nearby, neighbors can arrange to go on day trips and outings to enjoy all the attractions. Whether it's group cycling on the community biking trails or a club paying Mah Jongg in the multi-purpose room, there are plenty of ways to keep busy while living in Crescent Heights. Crescent Heights is located in Sandy, Utah, which is nestled just outside of Salt Lake City, one of the largest metropolitan areas in all of Utah. The community itself is just five minutes down the road from Harmon's Grocery Store, making everyday errands a breeze. For out of town travel, residents can hop on Highway 15, or for farther travel, Salt Lake City International Airport is a short 22 miles away. Sandy is also home to the Loveland Living Planet Aquarium as well as a state recreation area. Residents looking to enjoy the big city environment of Salt Lake City have come to the right place at Crescent Heights. Just down the road, Salt Lake City is home to world-class shopping and dining. Arts and culture is abundant in Salt Lake City, with Abravanel Concert Hall and the Cathedral of the Madeleine boasting years of history. Sports fans can catch a Utah Jazz game at the Energy Solutions Arena, or nature buffs can venture to Bryce Canyon National Park. With so much to do both in and out of the community, Crescent Heights is an active adult paradise located in Central Utah. Check back soon for more information on the lifestyle in Crescent Heights. There are three floor plans available in Crescent Heights, ranging in size from 1,074 to 1,203 square feet in size. All models feature two bedrooms and two bathrooms, as well as one parking garage space. These units feature desirable amenities like walk-in closets, open floor plans, and some even include balconies. All buildings include elevators and low maintenance exteriors. Please Note: Floor plans are not available at this time. 55places.com is not affiliated with the developer(s) or homeowners association of Crescent Heights. The information you submit is distributed to a 55places.com Partner Agent, who is a licensed real estate agent. The information regarding Crescent Heights has not been verified or approved by the developer or homeowners association. Please verify all information prior to purchasing. 55places.com is not responsible for any errors regarding the information displayed on this website.